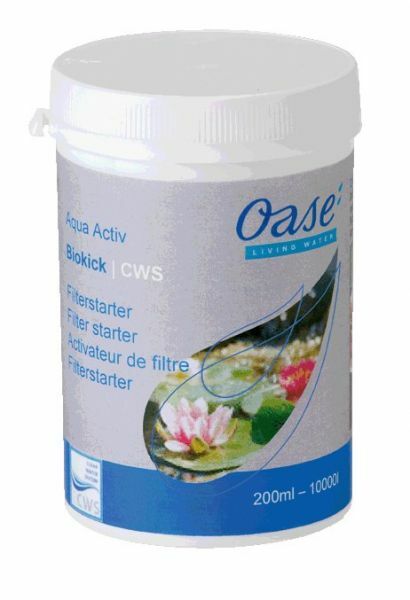 OASE Biokick is designed to 'kickstart' the biological action in pond filters by rapidly increasing the quantity of beneficial 'friendly' aerobic bacteria breeding on the filter sponges. 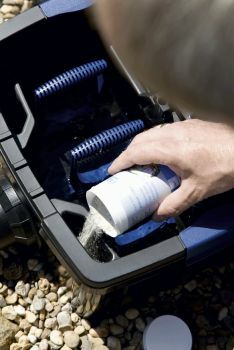 The 200ml Biokick is suitable for treating a pond of up to 10,000 Litres. Also available in a Biokick 100ml version for ponds up to 5,000 Litres or Biokick Bulk (2L) for larger ponds up to 100,000 Litres capacity.